Sally Poblete, Founder & CEO of Wellthie Inc. 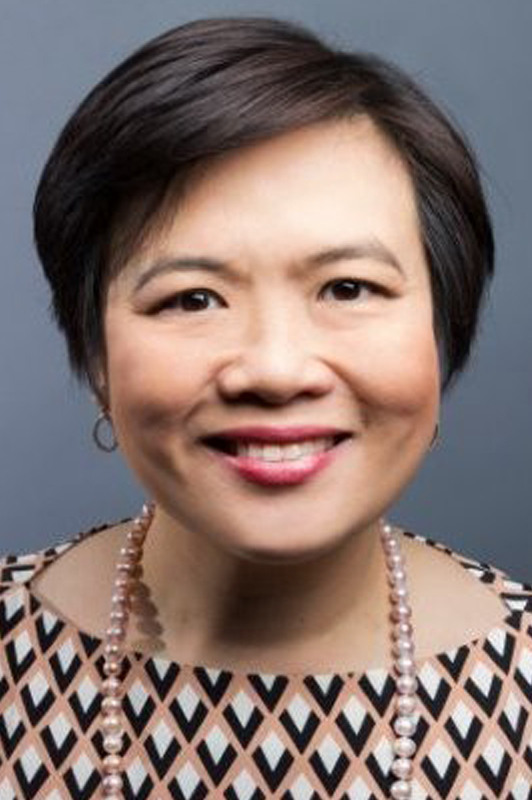 Simplifying Health Insurance with Sally Poblete, Founder & CEO of Wellthie Inc.
: Welcome back once again to the outcomes rocket podcast where we chat with today’s most successful and inspiring health leaders. I have an outstanding guest for you today. Her name is Sally Poblete. She’s the founder and CEO at Wellthie. Sally is the chief visionary Growth Officer insurance geek and cheerleader at wealthy. She spends most of her time listening to the customers envisioning new ideas and building the best teams. She envisions a future world where purchasing insurance is a satisfying and confident experience. We’re going to definitely dig into that and prior to starting wealthy Sally spent close to a decade as an executive at Anthem Blue Cross Blue Shield where she led product development and launch large enterprise initiatives across the country. With the builder’s DNA, Sally spent the first decade of her career wearing business development marketing and product hats at successful startups like Medscape and other insurance startups like Health Markets. She’s got a wealth of experience and background in this space and it’s a thrill to be able to have the privilege to have Sally on so Sally welcome to the podcast. : Absolutely. Now is there anything that I missed in that intro that you want to share with the listeners? : I think just the fact that I’ve been in healthcare or the health care industry my entire career and earlier before I specifically work in insurance I was in a provider space as well in Hormel as well as digital health in general so delighted to be talking with you and I know most of your listeners being in the health care industry. : Absolutely that’s great detail there that we missed on that. So folks Sally comes with a lot of experience from across the healthcare space and I think a lot of the things that we’ll dive into with her will resonate with you. So why did you decide to get into healthcare to begin with Sally? : I think like many many people who are in healthcare there is a desire to do good in the well. Healthcare is first and foremost an industry where there is so much opportunity to help people in improving their health. And I think that’s a really gratifying reason to get up in the morning and work hard and that there is a very tangible impact to others that I think it’s really great. And then on the doing well side I think the healthcare industry is responsible for a significant aspect of our economy and lots of dollars flowing in the healthcare sector. It’s obviously a very big growth industry and so there is an opportunity to do both. So for me as a trained businessperson, it is the industry that I could both accomplish a higher level mission to help others and also fulfill a business goal. : Very cool. Yeah I’m so I’m so intrigued with the path that you’ve taken through insurance and now starting your own company. Sally, can you level set the listeners on wealthy what is it that you guys do? Problem you solve? Who do you solve it for? : Yes so Wellthie is focused in the process of purchasing insurance. So we have the marketplace and national marketplace for small businesses to purchase insurance in so in an easy fashion simple easy. And with the help of a human expert and that which is the broker, so we essentially have a marketplace where those small businesses can find the wealth of options for insurance products from hundreds of insurance companies across medical, dental vision and other value added services and then be able to do that on their own and see the products and services that they want to buy and then also get the support of a licensed broker along the way. : Fascinating. So typically listeners if you own your own business you obviously know it can be frustrating. It could take a lot of time but the efforts that Salihi has poured into this platform and her background in insurance. It really gives the user the opportunity to make it less complex. And so Sally what are some of the things that people are saying about your solution what’s resonating? : Yeah I think first and foremost what’s resonating is the agreement across the board that the existing process has not satisfied the needs of our thinkers right that it is very cumbersome enduring a manual labor base. So having a destination to say, oh now I can understand how much insurance costs or having my broker really be able to help me through my decision making process. So both have an online experience and the human support of a licensed expert to help me make the right decision is really a great combination. Because you know it’s not all about being 100 percent digital and there’s still so much of the population that wants the combination of digital experience and also access to the live human beings who really knows their stuff. : That’s so so on point Sally and You’ve gone through so many different experiences on the insurance side. I’d love if you could just share what you believe a hot topic that needs to be on every leader’s agenda today. And how are you guys tackling it? : Yeah I think a hot topic in healthcare in general is the focus on consumer experience. And I think that that is universal that is a hot topic in insurance that is a hot topic among the provider industry topic. Even within pharma, it’s really across health care and it’s hard to it’s really a very big goal right. To improve that consumer experience and focus on for me that means a focus on simplicity. It means having less steps for the consumer again and consumers are patient if it’s not it’s a small business owner buying insurance or whomever it is it is having less steps to get to Point A to point B to get something done. It is having less friction. It is meeting the consumer where their needs are where they want to interact. So for us it its right in millennial business or wanting to research online. Great. And if it is another kind of business owner wants to follow that is good too but it’s meeting the consumer where they’re at in looking for any and all ways to as I said reduce the number of steps and friction for us to deliver whatever product or service that we are providing within the health care industry. : I think that’s a great call. And listeners if you are curious. Yes I definitely invite you to go check out their site. It’s w e l l th i e wellthie.com and you’ll see all the resources the beautiful layout that Sally and her team have have made for you just a wonderful sight that I think you’ll that will resonate with Sally’s comment about user experience. Can you give the listeners an example of how you guys have created results and affected things positively? : Sure. So in behalf of We work with many insurance companies across the industry and one of the things we do for them is obviously we’re trying to help them increase their sales because of all of the brokers in our network who use our platform in the small businesses that are shopping right. We’re able to really improve our platform growth as well as speed of closing of essentially the shopping process and ultimately over time also give them a lot of consumer insights about what our buyers are customers are looking for and as for shopping what they’re clicking on what essentially their demographics and matching that up so that we can inform our in this example carriers on the products that really resonate with your audience. : And Sally what was it that got you to start wealthy like what was the thing that made you say you know what this has to happen or was it why did you do it? : Yeah I think that for me it was less of an aha moment I saw that rather a long and indeed firsthand experience in our industry. Having worked at one of the largest carriers in the country for eight years and other carriers for that, I really saw the opportunity for a need for better or simplier experiences in insurance. So that time and time again and I knew that while certainly big insurance companies have a desire to do that that I could have a bigger faster impact by starting a company starting a technology company working with Ethar technology experts, design experts, data experts put together solutions that are really applicable for the industry as a whole and that was for me the moment at which I wanted to really embark upon starting Wellthie. : That’s wonderful. Now listeners, this is great and an example of the leaders that are on this podcast but also you that are listening right. You see a problem. But in that problem you see an opportunity and Sally took her experiences and now is doing a service and art to be able to give you the best way to get insurance. And I admire you for taking that leap Sally because you know it takes courage to do that. : Thank you so much. It does and I found the experience to be certainly still both more challenging and more rewarding than I even expected. : That’s great. And so that’s a great segue here. We believe that we learn more from our failures than our successes Sally . Can you share one of your setbacks that you’ve had here in the last five years with Wellthie and what you learned from it and how you became better for it? : Yeah. How much time do we have. I think that difficulty in answering this question is picking one among among several but I think I’ll say from my perspective, we have gone through several iterations many many iterations of our product. And one would say well you know every iteration of that product could have been a failure because right we embarked upon what direction we thought we had a premise or hypothesis to prove about the solution we were offering and then we kept on tweaking we’ll on the way. So what was the mistake. Thing. What were some of the mistakes or things that we tried it didn’t work out as well. I think whenever we did so our design a particular solution that we design on our own and did not have enough market input market, insight, customer feedback, customer testing, those were things that we learned were opportunities for improvement. And I think so much in healthcare we have really good ideas internally right in our own minds about how to do things and try them and then realized that the really the end consumer isn’t that’s not what they want or they prefer to shop or do something differently. So I think a lot of the lessons for us is just continuing to ask our customer base test and get feedback that always has been lots of great opportunities for learning there. And that has helped us strengthen the product over time. : For sure. And and if you had to double click on on one of those things that you took out of it what would you say. One of the key lessons that you learned and one of those tweaks that you made? : Well one of the lessons that in terms of the product tweaks. So let me think about an example. So one of them was exactly this notion that we thought initially consumers couldn’t just get through the entire process on their own. The full digital experience was sufficient and that was what because we are in a digital age and that is all that we need are really Slate user experience online and on the mobile phone is all that is necessary and then we realized that so many consumers still really wanted to talk to a human being and the role of a licensed broker or an agent to help support them in their experience in shopping was still really necessary. So then we added that component to our solution because that was you know an area that again our customers felt was necessary. : What a great learning Sally. And you know we’ve had other guests here that are embarking on their digital journeys and healthcare and that same goes on the patients side, right? There’s been companies that have tried leading with a fully digital solution one that comes to mind as Carol Leupp right there a caregiver support tool and they found that lesson too, and as soon as they incorporated that human touch with the tech it was just like the secret sauce that led to major adoption and things that you’ve shared a really great peril for us to really appreciate that. What would you say one of your exciting and most proud moments in the space has been the day? : So I think that on the exciting front the pieces that I want to share right now is that more regulation is coming, changes in the regulation I’ll say is coming with regards to insurance space so we think that in a time of increased complexity in the regulation there’s always an opportunity for technology companies and again people like us who are company like us who understand the industry understand how to take the complex and may even simple, that’s really a time an opportunity for us to shine because we can take that complexity and use technology and decision support and really great user experience just to help navigate, help our customers navigate the choices that they have to make as it relates to insurance. So we were really excited about that. : That’s awesome. I admire your approach. Sally you’re definitely tuned into to the challenges and you have the experience to be able to have those insights to really make an impact in this space. We need it and from an entrepreneur, to you and I and the listeners as well we thank you for what you’re doing. : So tell us about an exciting project that you’re working on with wealthy or maybe even outside of Wellthie. : An exciting project outside of wealthy. So yeah I have recently volunteered to talk to teenage girls in that disadvantaged neighborhoods about their career in entrepreneurship. So outside of wealthy hey I do really enjoy helping younger girls consider a career in technology, in entrepreneurship, in healthcare, in the sciences and really help them see that there’s just a world of opportunity out there for them. And that given that in health care 80 percent of the decisions are made by women. I think that there is just lots of room for younger women to pick leadership roles or to pick a career path in healthcare and really aspire for leadership roles. I think that that’s even more necessary. And again within disadvantaged communities so that they can find a career path that really makes a positive impact on others and themselves. : Sally I think you’re doing wonderful things in business and for the community. I tell people all the time that I truly believe that health care will be changed for the better as we include more female leaders into the ranks. To put that care into the system so kudos for what you’re doing on the business front but also on the community front. It’s what the system needs and what communities needs to have that success. Really great to hear that you’re doing that. : Wow. Wow. We’re getting close to the end here Sally. So we got this lightning round then we’ll conclude with your closing thoughts. But let’s pretend you and I are building a course on health insurance and leadership. What it takes to be successful? The 101 of Sally Poblete. And so we’re going to write out a syllabus with four questions, lightning round style followed by a book that you recommend to the listeners, you ready? : Think the best way to improve healthcare outcomes is to focus on the consumer experience, is to focus on all of the elements of that experience within health care and outside of healthcare that are driving why patient to your consumer and health care is making decisions. : Related to the first question I think it is designing solutions without or with very limited customer input I think is a very big pitfall. : I think you see it relevant by getting out of the four walls of your office your medical practice, your insurance company, your pharmaceutical company I think is walking and learning and being with people in their natural habitat, natural environments upside and really absorbing learnings from other industries. : Back to the first question. I think it is a human focused consumer. : Wonderful and what book would you recommend to the listener Sally? : So I recently read Sheryl Sandberg’s option B and Adam Grant and Sheryl Sandberg wrote that book I found that book to be incredibly inspirational and relevant for everybody young and old. I think it’s a lesson on resilience. And I think for readers, entrepreneurs and not entrepreneurs alike so much of health care requires a lot of patience and persistence because our it’s not an easy industry to innovate in. So when we have setbacks, no matter what they are I think finding the strength to increase our energy to bounce back and keep on going is really a helpful lesson in that that I took away from that book. : Outstanding recommendation Sally. Listeners take note of these things by going to outcomesrocket.health/wellthie . Again that’s a W E L L t H I E and you’re going to find all of the show notes the transcript links to the book recommended and all the things that we discussed here today. This has been so much fun Sally. I love if you could just share a closing thought. And then the best place where the listeners could get in touch with you. : Yeah so I think my closing thought is really to the listeners who are perhaps inking about insurance as a career path or an area of innovation I would invite other practitioners to consider starting a company in any aspect in healthcare. And then if any anyone is interested in innovating within the insurance industry there’s there’s a lot of talent and help that we need here so please do come and join join our efforts. And yeah I can be reached really on our website and on LinkedIn. : Outstanding again unless there’s the addresses wellthie.com, w e l l t h i e dot com and Sally again just want to say a big thank you to you for joining us today. I know that the things that we discussed will plant a seed in the folks listening and help improve outcomes so I just want to say thank you so much. : Great thank you so much.